Mark Zuckerberg has made a modest new year’s resolution: to fix Facebook and make the world a better place. It’s a sharp change of direction since 2016, when Zuckerberg dismissed the idea that hoax news stories shared on Facebook could have influenced the outcome of the US presidential election. Speaking at the annual Techonomy conference near San Francisco, the CEO called the notion a “pretty crazy idea” . “There is a certain profound lack of empathy in asserting that the only reason someone could have voted the way they did is because they saw some fake news,” he said in an on-stage interview. After the election, Facebook identified at least 470 fake pages and accounts that had spent a total of $100,000 on ads. In a statement, the company said these accounts were likely to be linked and probably originated in Russia. Facebook turned the ads over to US Congress investigators, noting that although they didn't seem to reference a specific candidate, they were designed to spread divisive messages on sensitive topics such as gun rights. 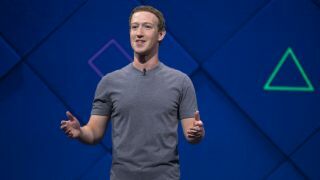 Elliot Schrage, vice president of policy and communications at Facebook, said the company didn't act immediately because “[T]here was nothing necessarily noteworthy at the time about a foreign actor running an ad involving a social issue." International organisations, for example, might run an ad addressing women’s rights or encouraging charity donations. Only after the election, Schrange said, did Facebook notice some auto-approved ads might be “problematic”. Keen to show that it had learned from past mistakes, the company worked with German officials to avoid interference during the country's general election in September. Although it admitted it couldn't have eliminated any false news stories from appearing in news feeds, it worked with legitimate news agencies and the political parties themselves to help minimize the chances of such content rising to the surface. Until now, Zuckerberg’s "personal challenges" have been just that – personal. They began with the humble ambition of wearing a tie to work every day in 2009 “to signal to everyone at work that this was a serious year for us” during the global recession. In 2016 he set himself the challenge of building an AI to run his home and running 365 miles. This year's resolution shows a change of focus, showing the CEO taking Facebook's influential position seriously. With presidential and general elections taking place in Italy, Ireland, Sweden and many other nations during 2018, that commitment will soon be put to the test.